We provide annual wellness examinations for all of our patients, including horses. 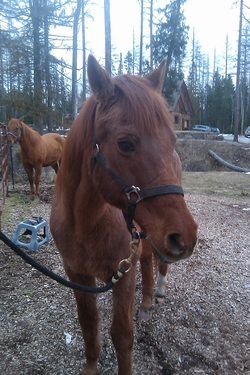 Horses need de-worming and vaccinations to stay healthy and parasite free. Other vaccines such as Strangles,Potomac Horse Fever, Equine Viral Arteritis, Botulism, and Anthrax are also available, but may not be needed for all horses. Talk to us today so that we can help you determine the vaccine protocol that would be best suited for your horse! 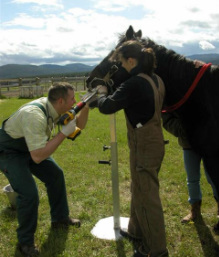 Alpine Animal Hospital provides comprehensive dental care for horses of all ages and sizes. We utilize a cordless Power Float so that we can float teeth almost anywhere! Our Veterinarians are available by appointment for house and ranch calls. Let us bring our services to you! Give us a call today.